Oldhammer 40k: Return from the wilderness...and interesting developments! Greetings readers! I must start this post by apologising for my extended absence, I can assure you that this was through no fault of my own! Alas I was deployed on a military exercise for a three week block and so my access both to technology and any hobby related materials has been decidedly restricted! However I have since returned to civilisation and a host of hobby related goodness! 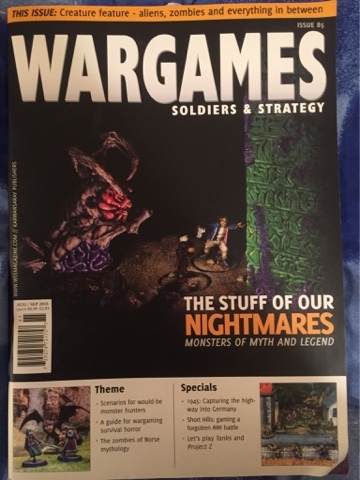 First up I am pleased to say that my latest Wargames article features in this month's Wargames, Soldiers and Strategy Magazine (issue 85). The theme of this issue is 'Horror and Monster' related gaming and in keeping with this subject my piece focuses on bringing key sci-fi horror franchises of the 70s/80s (e.g. Alien, Terminator, Predator et al) to the tabletop. As well as the general narrative I have also created two bespoke scenarios for making this gaming dream a reality, both of which I hope readers will enjoy or at least be able to use as the basis for their own adventures. 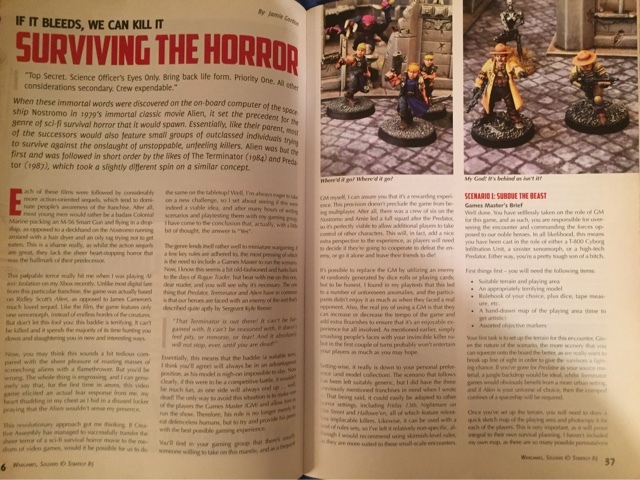 As ever the article is accompanied by pictures of my own (and other contributors) miniatures in action. In addition to this I am proud to say that I have been approached by the legendary Joseph McCullough, author of Frostgrave, to paint some miniatures for a project that he is working on. This is a source of great pride for me as I absolutely love this game and am happy to be involved with it on any level. Also after years of painting miniatures it is a real honour to have my skills acknowledged, perhaps all that time spent slaving at the paint station hasn't been entirely wasted! 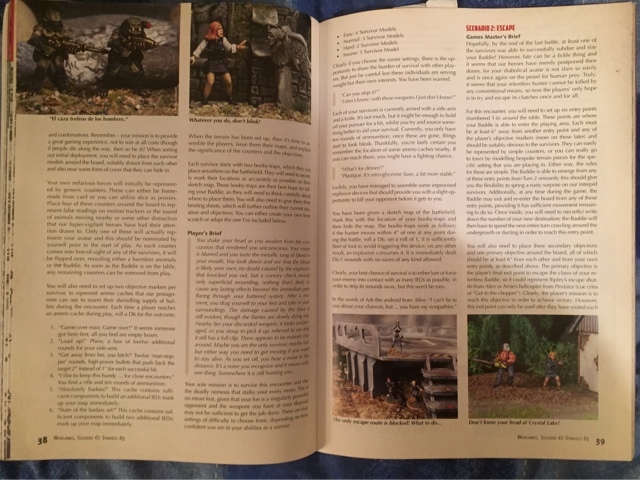 Finally I can also say that I am currently in the process of writing my own set of wargames rules which have been picked up for development by a leading publishing house, again this is is a source of immense satisfaction for me though I can't say too much at this stage! Needless to say you should definitely 'watch this space' for any updates as they arise! 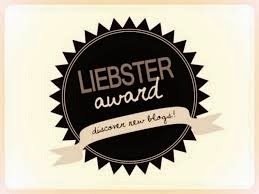 Well, please let me congratulate you for veruy significant achievements here ! Your dedication and enthusiasm and talent are no news to us so this only looks like a logical turn of events. Would your involvement with Joseph be related with a skirmish set of rules set in a futuristic background ? Thank you very much JB! You are too kind!! I'm very proud to be getting further involved in the hobby and I hope work goes some way to increasing others enjoyment of our glorious past time. Nothing quite so controversial with my involvement with Joe. It is simply a painting commission for some Frostgrave Warbands that he and the team will be using for a project. It's nice to see how Joe and his colleagues share with the hobbyists. Hopefully if my Frostgrve models are good enough then I might be able to do some more stuff in the future! Yeah Joe and the whole team seem really nice guys; hobbyists who are interested in sharing their experience with other hobbyists! Ha ha Chico! I knew you loved me! Cheers Suber! It is great to be back and even better to be able to get more deeply involved in the hobby. It's been my passion for so long it was inevitable that I'd probably do some semi-pro stuff eventually!